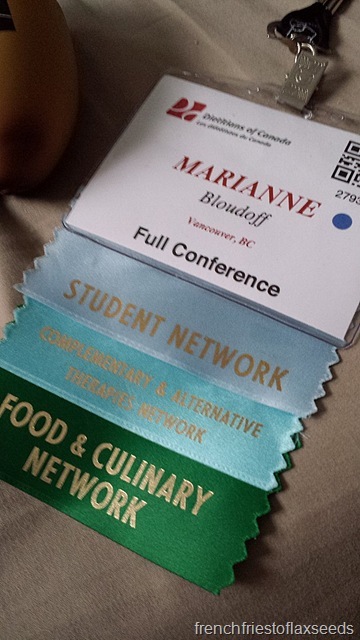 If you had been following me on Twitter this past weekend (and if you aren’t, you should probably start – @fache79), you would have noticed a plethora of tweets with the hashtag #dcconf2013. Wondering what that was all about? 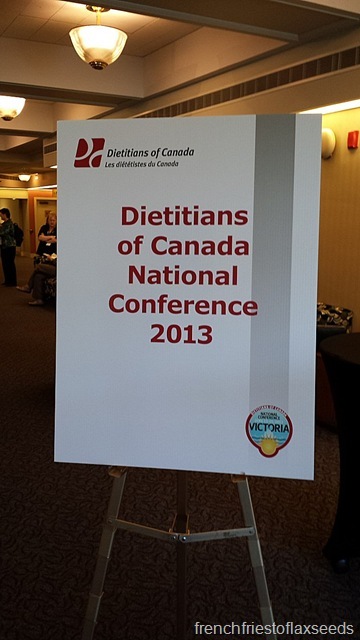 Well, I spent the past weekend at the 2013 Dietitians of Canada Conference in Victoria, BC. You may remember my series of posts (parts one, two, three, and four) from when I last attended the conference back in 2011, back when my beloved Vancouver Canucks failed to win game 7 of the Stanley Cup Finals…le sigh. I had a great time when I went then, so I knew going this year when the conference was literally in my backyard was going to be great. And last time, I ended up going on my own, but this time 2/3 of my internship class went! And considering we only have 1 WEEK LEFT of internship, it was awesome to get together and have a celebration of our soon to be RD status. 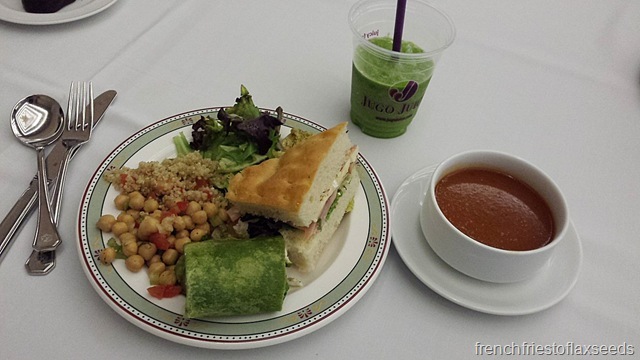 It was 3 days full of food, friends, networking, and inspiration. I really enjoyed when I went to the conference back in 2011, but this time it was even more relevant, especially since I will soon be starting my career as an RD. I left feeling motivated to explore what areas of practice I’m truly interested in. Feeding the world today and tomorrow – a look at scientific advances & technology developments over the last century in food production, and where we might need to go from here. 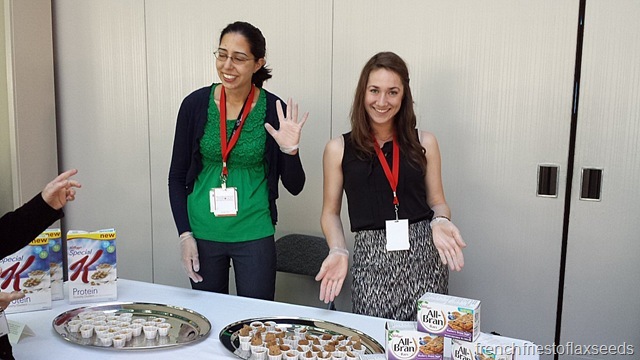 Dietetic practice in a digital world – all about RD’s using social media. Obviously right up my alley! Men in dietetics: a pathway to action – a look at how many men are practicing dietetics, what some of the barriers are to more men pursuing the profession, and a roundtable discussion on what can be done to attract more. I am totally for more diversity in the profession, as it can only help strengthen it. Seductive Nutrition: enticing consumers to choose foods with benefits – this awesome talk featured Dr. Jim Painter who I have seen speak before. He is awesome, and if I ever pursue a Master’s degree, I would totally consider his program. The entrepreneur’s toolbox – learning the secrets of building a thriving RD business from some awesome local BC RD’s, Patricia Chuey and Gloria Tsang. Probiotics: matrons of the microbiome – a look at probiotics, duh! There were also other sessions that were stand alone sessions, not running concurrently with anything else. 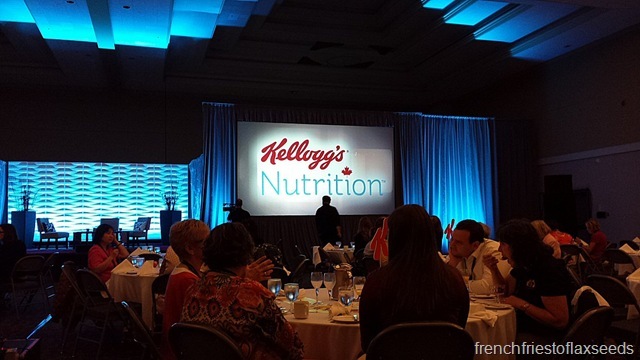 Like the above pictured Kellogg’s Nutrition Symposium, on how a new product is developed and marketed. There were also keynote speakers such as Ian Hanomansing and Dr. Brian Goldman. 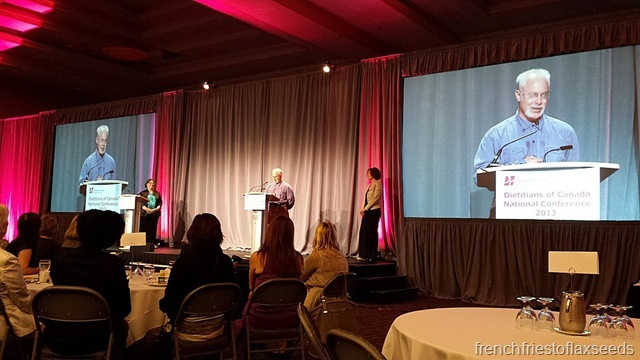 There was an awards ceremony where 2 of my UBC Dietetics instructors were honoured – Karol Traviss, our Dietetics Program Leader and Senior Instructor, and Gerry Kasten, our Dietetic Culinary Instructor. Another highlight was the Exhibitor’s Showcase, where we had a walkabout lunch while browsing the various sponsor and exhibitor booths at the conference. There were adorable little macarons to go with lunch. 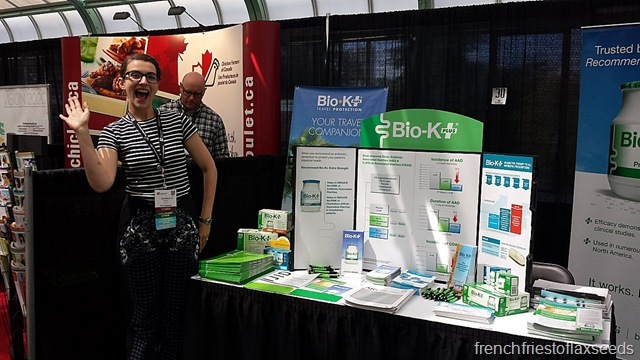 Here’s Desiree Nielsen at the Bio-K+ booth. A couple of hours at the showcase left me with a whole lot of swag. 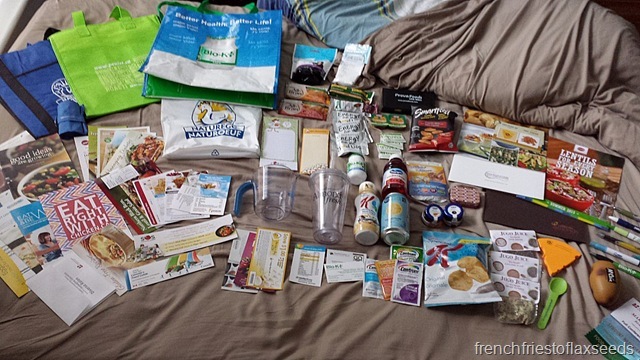 Samples, recipes, information pamphlets, reusable bags, coupons, and more! 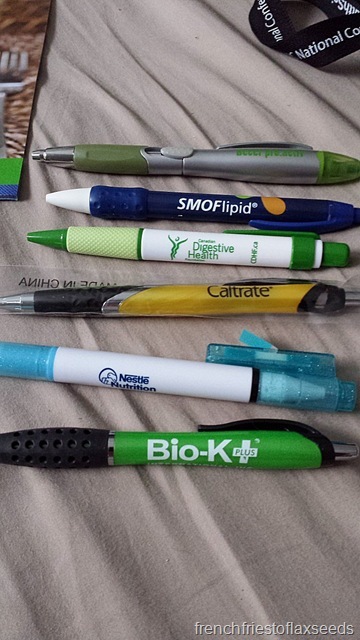 Such as my lovely new selection of pens. What’s crazy is that I didn’t even visit every booth, or take every free thing offered. There were more than a few exhibitors whose products aren’t really things I want to support. I appreciate that we need sponsors to run the event, and many of them I would support, but they aren’t all for me. That being said, it’s still good to know about their products so that we can better counsel patients/clients who may use their products. The more knowledge you have about what’s in the marketplace, the better. There was a new exhibit this year, for RD’s to share their artwork. It was small, but interesting. Why not take the opportunity to show some of your other talents to your peers, right? I took a picture of the quilt mostly for my mom, as she is an avid quilter and would appreciate it. Did I mention there was food? Breakfast was available every morning, and most lunches. There was an opening reception the first day with tons of great appies. 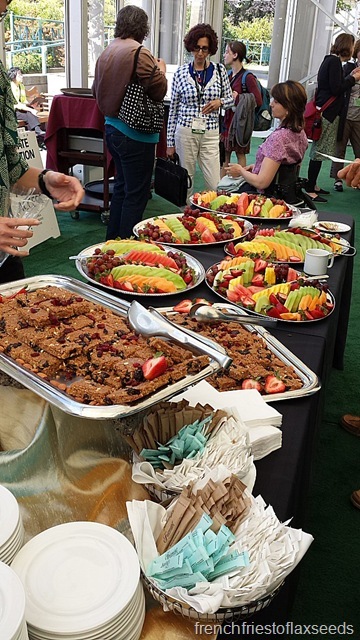 That being said, it was of course sponsored, and there were some food options from the sponsors. 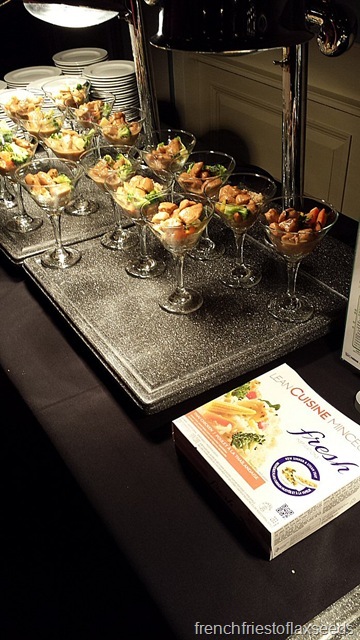 One that amused me was the Lean Cuisine, served in martini glasses. Way to class up a frozen meal! I also received an invite from Gloria Tsang to a reception hosted by Canadian Lentils. 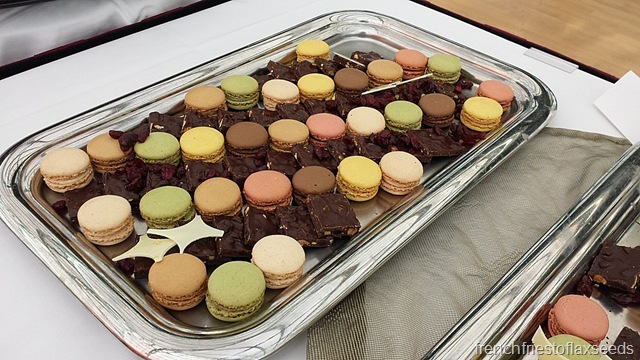 It was an awesome event with tons of tasty treats. 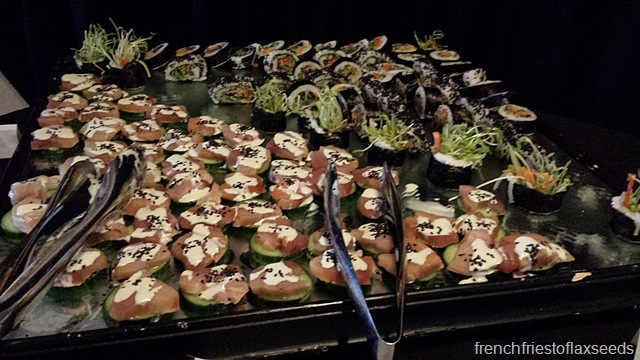 All receptions should have sushi. 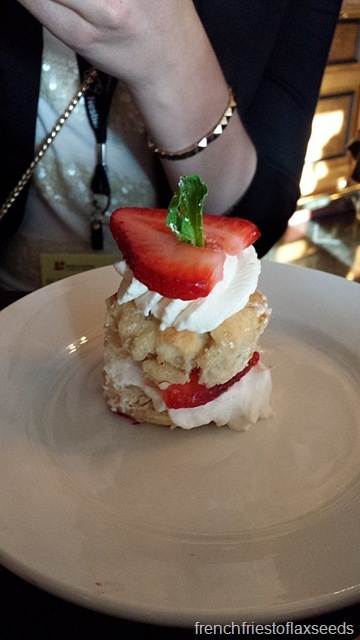 Lentil shortcake! So cute, and delicious. While we did spend time mingling with all of the attendees at the reception, we also spent a good portion of our time tweeting the event. Hey, we were encouraged to! I also made sure to spend some time outside in the beautiful sunshine. We really lucked out on the weather while we were in Victoria. 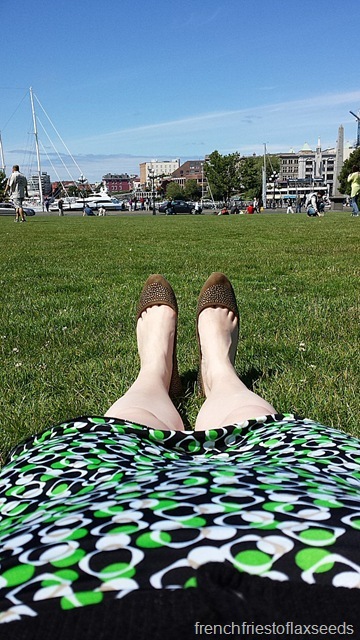 How else would we have been able to lounge in the sun on the lawn of the Parliament Buildings? There was also some time spent out on the town with my fellow interns. 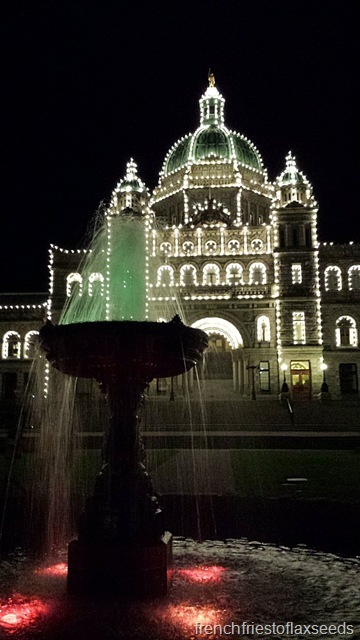 While I have no pictures of that, I do have some of the Parliament Buildings at night. As you can see, it was a jam packed 3 days! I highly recommend to any dietetic student to attend a DC Conference if they can, because you will get so much out of it. 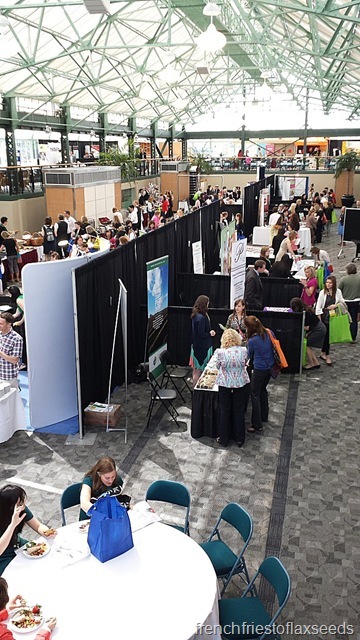 Because we are just about to embark on our careers, it’s a great way to explore all of the different paths we can take in dietetics, and connect with those people who can mentor you along the way. Not to mention it’s way cheaper to go as a student – why not take advantage of it then? 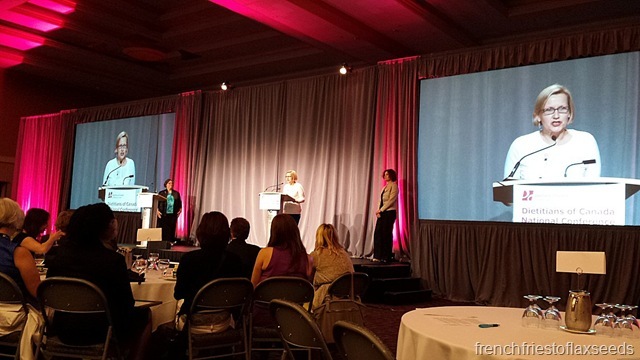 I know I’ll definitely be looking at going to the conference next year in Ottawa if it fits into my schedule. 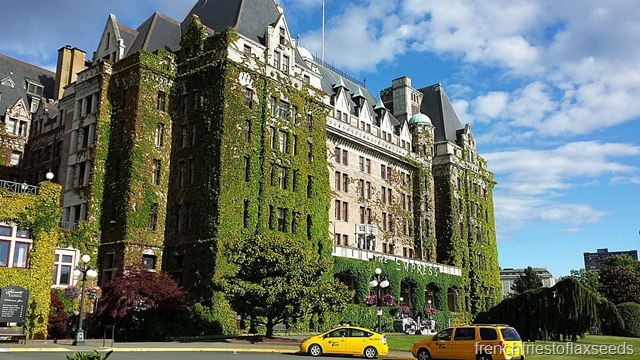 Were you at the DC Conference in Victoria? Share your stories in the comments below, especially if you went to some of the other sessions I didn’t. I would love to hear about it. Nice recap! I just wrote mine, though I didn’t take any pictures (for shame!) and just high lighted a few things that stood out for me. I loved the RD art display, the quilts were gorgeous and some of the photos were really fun. 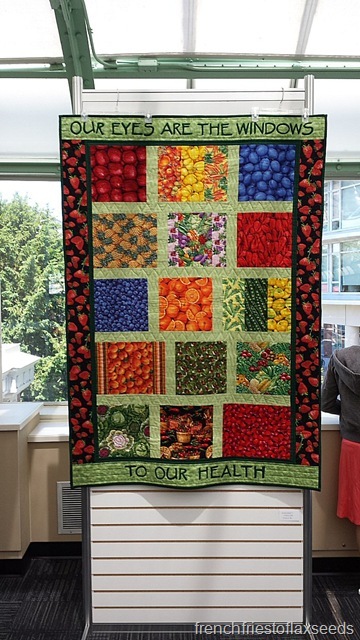 My fav session was the Artful Approaches to Dietetics Pedagogy; it had some really cool art-based projects done in various classes, instead of the simple learn, memorize, regurgitate. Thanks, Marianne, this was a great post!